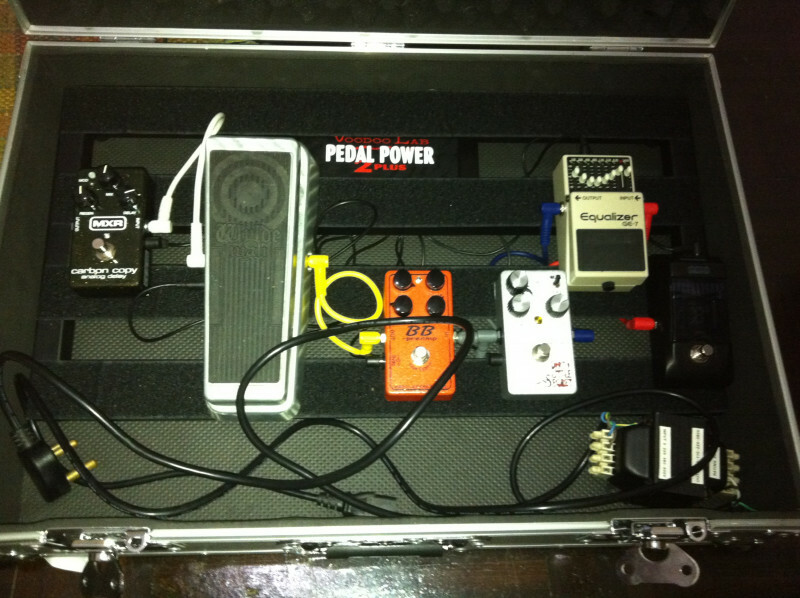 I want to sell my pedal board and pedals as i no longer do live shows. I'm selling as a set and i don't want the admin of selling things separately. I'll give it 2 weeks here before i put it on gumtree. The pedals all are in perfect working order. The case has a bit of rust around the clamps, but it still locks tight and there's no protruding holes. I live in Western Cape, but happy to ship at your expense. killafo i don't want the admin of selling things separately. I really think you would have a better chance at flogging all the gear if you break it up into individual pieces. Remember people have differing tastes/needs when it comes to their pedals and, to be blunt, not many people want to drop R15k on a full setup pedal board. Fair point on my attempt to sell it as a bundle. i'll give it a shot on gumtree, if nothing bites, i'll come back and sell them individually. killafo Yeah man, gotta agree with @wern101 - it's likely you'll have offers for the bits rather than the entire package. Maybe try a buy more than one item and get a x% discount - worked when I sold my e-drums after 3mths of having peeps lowball me. As suggested i have now split up all the gear, except for the pedal board and power bank. Also i'm selling my amp. Serviced 2 days ago from making this post. killafo As suggested i have now split up all the gear, except for the pedal board and power bank. The weekly newsletter goes out on Thursdays (you might just miss it this week) - so if you can add some of the pics with some blurb of the items here @NorioDS may add it to the newsletter.